The multi-specialty group practice undertook a large project to use analytics and reduce emergency room utilization – and it worked. Columbia Medical Associates, a multi-specialty group practice based in Spokane, Washington, needed to rein in its rising healthcare costs and decided that one key area to focus on was reducing emergency room visits. The practice participates in both an accountable care organization as part of the Medicare Shared Savings Program, which provides a wealth of data to assist with adding value to its patients. Through those programs, ER utilization was identified as the biggest opportunity through benchmarking against peers to bend the cost curve. Looking into the data, several areas emerged as needing improvement, including: Increasing the availability of same-day access for all providers; educating patients regarding "right care at the right time" and when seeing a primary care provider is appropriate – versus emergency department or urgent care – and the benefits; and improving access to emergency department admission data and knowing on a consistent and timely basis when patients hit the emergency room for staff to follow up with them. To get a grip on these issues and move forward with its project, CMA tracked and measured the progress of a variety of data metrics, including emergency department utilization per 10,000 paneled patients (mimicking the NCQA measure) and the Press Ganey Access to Care Composite Score National Ranking (Primary Care Only). "This initiative hinged around the implementation of a product called 'PreManage,' which allowed us to get real-time notifications of our patients being seen in the ER," said Nicholas Leute, chief of staff and director of performance improvement, risk management and corporate compliance at CMA." PreManage is a tool developed by Salt Lake City-based Collective Medical Technologies, which makes a patient management platform for hospitals, payers and provider groups. Once a month, CMA sends the vendor a list of its patients, and through a matching algorithm, Collective Medical Technologies is able to notify the practice when any of its patients are admitted to an emergency room. CMA implemented the system in October 2016 and also dedicated resources to this work with medical assistants making phone calls, knowing the potential return on investment if CMA could reach its emergency department utilization targets and qualify for incentive dollars through the ACO. "Daily, for each primary care location, there is a medical assistant assigned to make follow-up calls to all patients discharged from the ER the previous day with the goal of having them see their primary care provider for an appointment within seven days," Leute said. "Frequently during these calls, behavioral health and/or social work issues are identified and assigned to our medical assistants who can connect the patients with the appropriate services provided internally." Initially, during the first month of receiving data, CMA saw a four-fold increase in the number of patients going to the emergency room. This was due to the underreporting and sharing of records from hospitals to CMA, Leute said. "We discovered that we were not receiving many of the transition of care records/notifications when patients were being discharged from one hospital system, and from the other hospital system we were only getting about 50 percent, because of the difficulty of capturing the correct primary care physician at admission," he explained. "Improving our transition of care also required working with both hospital systems medical records departments, and getting appropriate access for our staff to obtain medical records on patients we knew were admitted into the ER, but weren't flagged in the hospital system to send records to us as a PCP." In addition to calling patients, CMA knew it had to address access on the front end by providing same-day appointments, front desk training, triage nurse education as well as patient education. CMA started with all of its providers being mandated to have at least two same-day appointments available on their schedule each day and training staff to only use the day of the appointment. "We added several providers in the organization who exclusively began seeing only urgent/same day appointments for all patients in the organization," Leute explained. "Next, we educated the front desk on appropriate urgent appointments, encouraging them to utilize the triage nurse more often and stop the practice of steering patients to ED/urgent care if no same-day appointments were available." The triage nurse then worked with providers to schedule urgent appointments, even double booking where necessary. 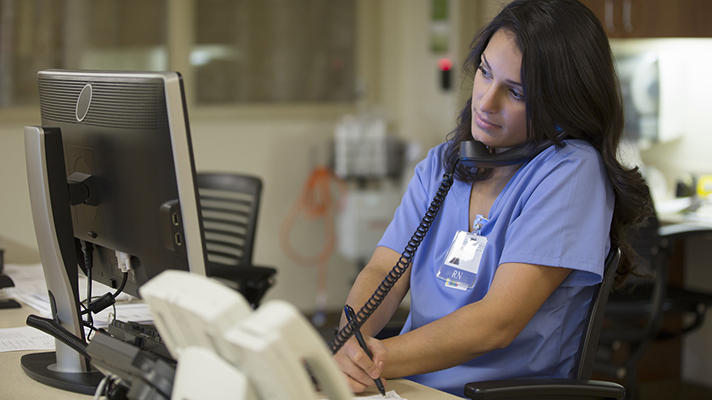 CMA worked with all of its triage nurses to revise their job descriptions, and provide more bandwidth to answering calls, as well as provided them the ability to schedule patients directly in the system, eliminating a step and providing a better patient experience. "All our providers were educated on the importance of this initiative in helping provide more value to our patients, and were very supportive," Leute said. "Lastly, we provided more education to our patients regarding getting the right care at the right time. In addition to posting material on our website, all of our medical assistants, where appropriate, educate our patients who may have had an avoidable emergency department visit on services we provide at our organization." Ultimately, the results paid off. CMA reported that emergency department utilization per 1,000 paneled patients was down 15 percent, patient satisfaction with urgent appointments was up 16 percent, and avoidable emergency room admissions were down 7 percent. CMA began surveying staff in 2015 with the intent of improving their work environment and increasing engagement and has seen a 13 percent increase in engagement scores since 2015. Creating an engaged staff was a baseline for CMA to jump into driving healthcare's Triple Aim home. "We have been recognized by several payers of having some of the best patient care outcomes in the region and state," Leute added. "We know creating better access and making it easier for patients to come to their appointments is the gateway to improving quality. Once within our clinic, we also have created a whole system of care through our EMR to remind staff of any care gaps." And on another note, many times patients that CMA contacted following emergency department admission required behavioral and/or social interventions, and its medical assistants were able to connect them seamlessly within CMA. Additionally, these process changes helped support a bigger initiative in the organization in improving the patient experience. And finally, affordable care. Not only was CMA able to drive down the total cost of care for the organization, but also for its patients who more frequently used CMA's primary care services, which resulted in lower copays and decreased wait times. "Obtaining a definitive drop in total cost of care is difficult due to not having access to this information from our payers, but extrapolating our emergency room utilization decrease with the average cost of an ER visit looking at some payer data, we estimate a $6.5 million reduction in total cost of care with this initiative," Leute said. "This was with a minimal investment in staff, roughly one FTE spread across our five care navigation medical assistants with their existing duties."